Leighton Meester reemerged on the scene on Monday(April 2nd) as she was spotted leaving the Nexxus Salon in New York rocking platinum blonde hair. 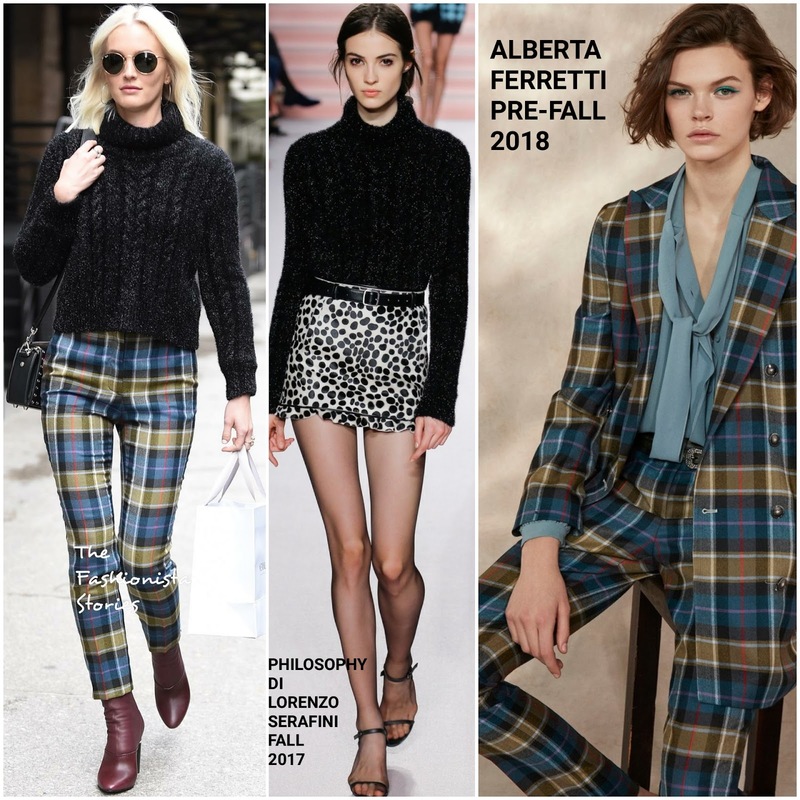 She hit the streets wearing a PHILOSOPHY DI LORENZO SERAFINI FALL 2017 black angora cropped sweater and ALBERTA FERRETTI PRE-FALL 2018 blue, green & tan plaid pants. Adding an extra touch of color to her look, she wore burgundy leather boots which topped off her look along with a black shoulder & roubd sunglasses.